Aashima Garg got admission to MDI Gurgaon after scoring 96.4 percentile in CAT 2017. 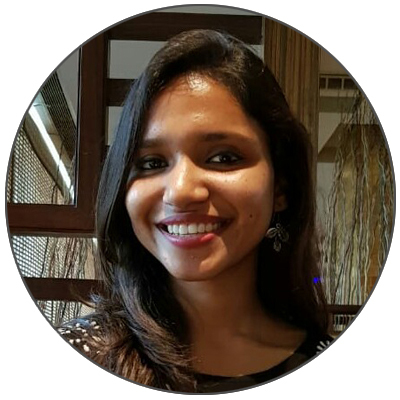 Prior to joining MDI, Aashima had worked for 31 Months as Software developer with IndiaMART Intermesh Ltd.
Aashima has done BPIT, GGSIPU Delhi; is a B.Tech in Computer Science. She hails from small town Palwal in Haryana. Her father is a pharmacist, mother a housemaker and brother a software developer. A. I had joined Tathagat coaching Institute. It is one of the best in Delhi/NCR. The faculty is brilliant and they give you personal attention unlike most of the coaching institutes out there. I was sincere, solving the sheets on time, attending every doubt session. Doubt sessions are extremely important. I read a lot for verbal. I daily took out time after office, for at least one hour of practice. Weekends meant classes plus more practice. I joined TIME Test series and attempted almost all the tests. They are great help. A. I read The Hindu daily, focussing on the editorials. I read books by some imminent authors like Charles Dickens, Ayn Rand etc. I practiced RC material given by the institute. Besides that, I read a lot of articles online on websites like Arts and Letters Daily. A. I solved a lot of questions. I re-solved them. I focussed on getting my concepts cleared rather than picking up numerous books. I never gave up on any question, gave time to everything. A. I Practiced questions given by the institute and those in Time sectional tests. A book of puzzles by George Summers is also good. A. Data Interpretation (DI) was a challenge. I had to increase my practice hours in it. A. They are a necessity. CAT is all about time management and being calm during those 3 hours. Mocks teach that. A. I attended a coaching centre to maintain regularity which was otherwise difficult along with a job.